In recent years, we’ve seen a surge of successful online businesses selling Information Products. They’re an appealing choice, boasting high profit margins and relatively simple technology setups. An Info Product could be an online course, series of lectures, audio-guide, eBook, sequence of tutorials, or anything else that sells quality information to help customers get results. What information do I give away for free? And what information do I charge money for? In this article, we’re going to look at content marketing strategies to help you decide what should be in your paid products and how to create free content that will drive visitors to buy. Who will help your visitors when they are lost? Info Products work because when done right, they help customers achieve a result that they value and therefore can fetch a high price. If an online course can honestly help someone learn a valuable skill, leave a job they hate and begin working as a freelancer, then the benefits justify the price-tag. But don't make the mistake of assuming that after you make an online course, suddenly the customers will come. You have to invest time to market your product, and that means creating free content to attract buyers. If you release your best material for free in the form of blog posts, eBook lead magnets, podcasts, etc… then no-one will have a reason to to pay you for anything. But if you put all of your best content behind a paywall and offer nothing for free, then no-one has any reason to expect you to deliver results with your online course. Don't worry, you’re not the only one who has been stuck on this problem. I don’t know. Probably not for a while because really all the same content I’d provide in a course is free online on SPI (Smart Passive Income). I don’t want to have my audience pay for something they could already have access to. And yet his loyal fans asked him to create an online course. They already knew that his free content was better than half the garbage out there, and they wanted the best of it packaged up. Imagine you are driving through the countryside in a foreign country, and you are lost. There’s no GPS and no phone signal either, but you keep passing small towns. Now imagine you stop in one of those towns to ask someone “Which direction is it to the city?” They tell you "Oh just turn left up there and you’ll be going in the right direction". How nice of them, right? If they also give you some tips about a shortcut and the best place in town to stop for lunch, I'd bet you'd listen in and be even more grateful! Now imagine that instead of offering up any information for free, they wanted to charge you money for it. “Give me $10 and I’ll tell you how to get there”. You'd scoff in their face, right? You don't have any reason to believe their information is good enough for $10 yet. Surely someone else would give you answers for free. It's the same with free content you offer as a business. Any blogs, free eBooks, Ultimate Guides or Social Media marketing is an opportunity to solve a problem for your visitors and point them in the direction of where to go next. But your visitors are convinced that a quick win solution to a small problem shouldn’t cost them anything. And if you overdeliver, giving them even more value? Then they'll come back to you again when they need help. They trust your authority. You could stop in each town along your 6 hour journey, and hunt for someone who will give you the next baby step for free… or you can pay this one directional expert to give you the entire plan of where you need to go, stress free and without wasting time. That’s what your paid content should be. It's the complete set of solutions so you never need to go searching for answers... and that’s worth money. Although your free content will offer valuable micro-solutions similar to what's in your paid content, they are isolated from the greater context. How do you get there in the first place? And what do you do next? Paid info products should predict all the sequential problems that come before and after, showing your customers how to resolve them one-by-one. Unlike free content, these solutions are not isolated and come with the bigger picture. Sean Wes is a master Hand-Letterer. Not sure what that is? Neither did I until I saw his website. It’s someone who draws letters. 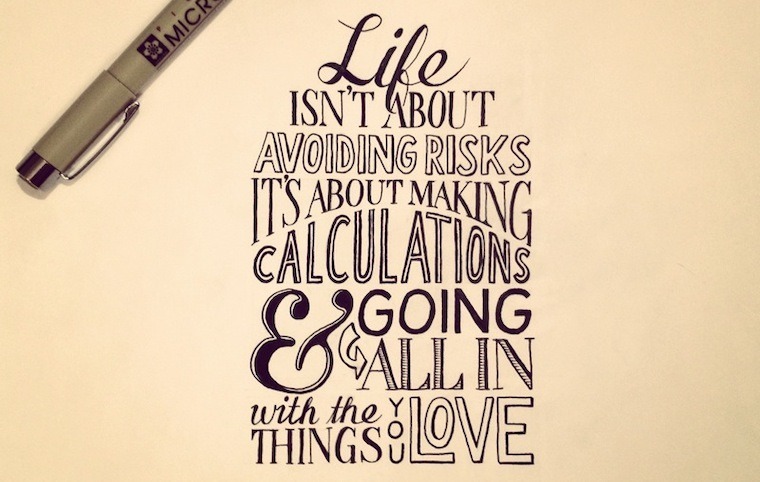 An example of Hand Lettering, as drawn by Sean Wes. Unlike calligraphy, which requires you to make perfect strokes every time with a special pen, hand lettering is more like drawing shapes." He is an expert and a teacher, someone who makes money by selling the secrets of his skill and helping others to achieve it too. 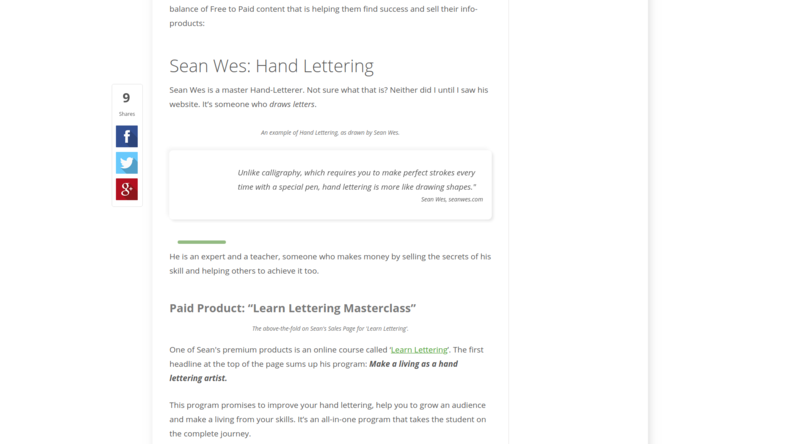 The above-the-fold on Sean's Sales Page for 'Learn Lettering'. 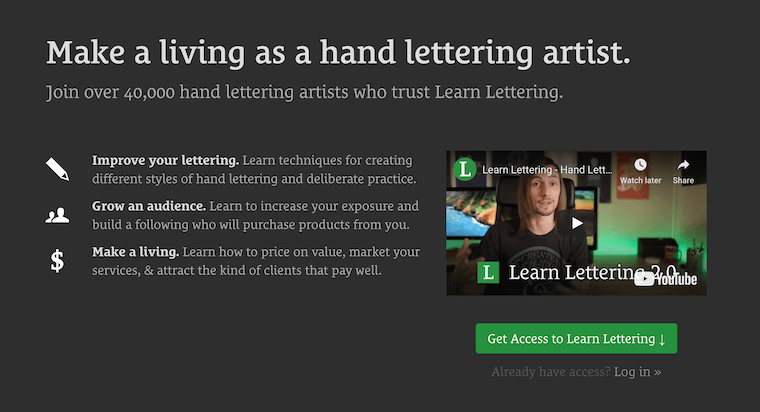 One of Sean's premium products is an online course called ‘Learn Lettering’. The first headline at the top of the page sums up his program: Make a living as a hand lettering artist. This program promises to improve your hand lettering, help you to grow an audience and make a living from your skills. It’s an all-in-one program that takes the student on the complete journey. The benefit is clear: if you follow his program you can earn money from your skills. This is a great secret to creating info products that sell. The more your info product can directly affect a customer’s earning potential, the greater price-tag you can set. Sean’s program sells for $699, or interestingly, he has a monthly membership for $99 that can be cancelled anytime and offers access to all of his courses. The problem is trust. The average visitor isn’t ready to throw $699 at an online course no matter how good the sales page is until they believe that this expert can get them results. Sean offers a free Getting Started guide. 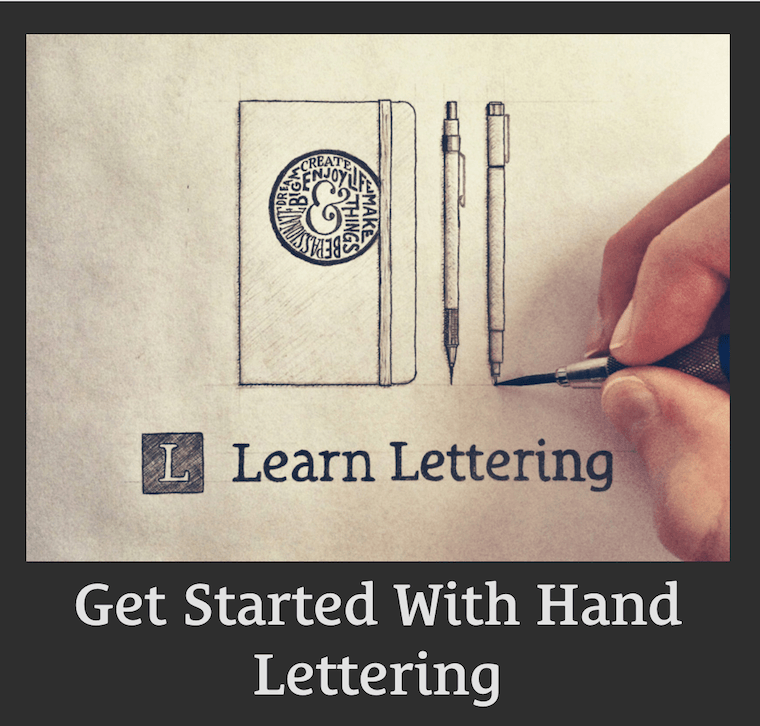 On Sean’s website, he’s created a beautiful piece of free content called ‘Get Started with Hand Lettering’. He immediately talks about what it takes to get good at hand-lettering, about recommended tools and pens, and provides the first 4 of 10 steps to his Hand Lettering process. His instructions are short and succinct, from choosing your text, to figuring out the composition of the letters, and settling on appropriate font styles. It’s enough information to show you that he is passionate about this topic, has a good mind for hand-lettering, and can communicate clearly. Most importantly, this free content shows visitors that he is skilled. That, my friends, creates a little something we call ‘trust and respect’. 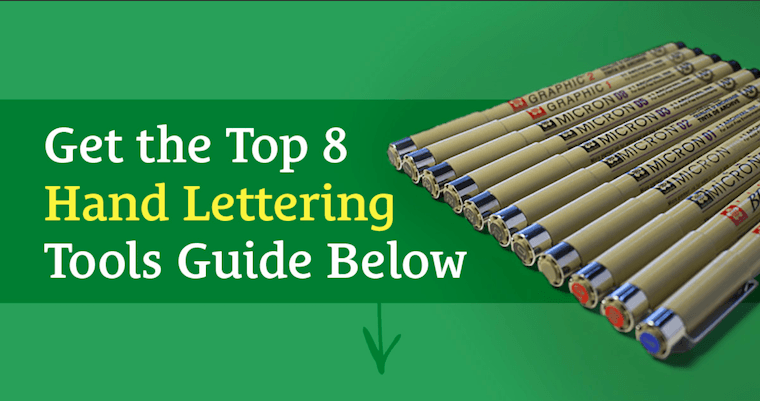 He then invites you get his free ‘Top 8 Lettering Tools Guide’, which includes the remainder of the 10-steps that work his example into a beautiful finished piece. Of course, this guide is an opt-in form that collects the visitor’s email address. 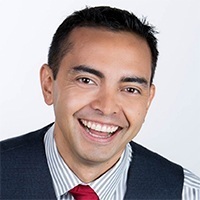 The free content that Sean provides helps to qualify leads on his website and move his visitors to a place where they would be ready to benefit from his paid program. For a visitor to feel capable of making money from being a hand lettering artist, they first need to be a capable hand letterer. The free content is the perfect precursor to the online course. It helps to refine a visitor’s skills and get them in a position where they want to improve. KEY TAKEAWAY: Offer content that gives your visitor the skills they need to utilise and benefit from your paid content. Now create content that helps to give them exactly that. Nathan Barry is the founder and CEO of popular email service, ConvertKit. But before creating the email service, Nathan was already successfully selling Info Products about designing applications for web and mobile use. He’s an expert, and there’s a ton of valuable knowledge that he can impart. 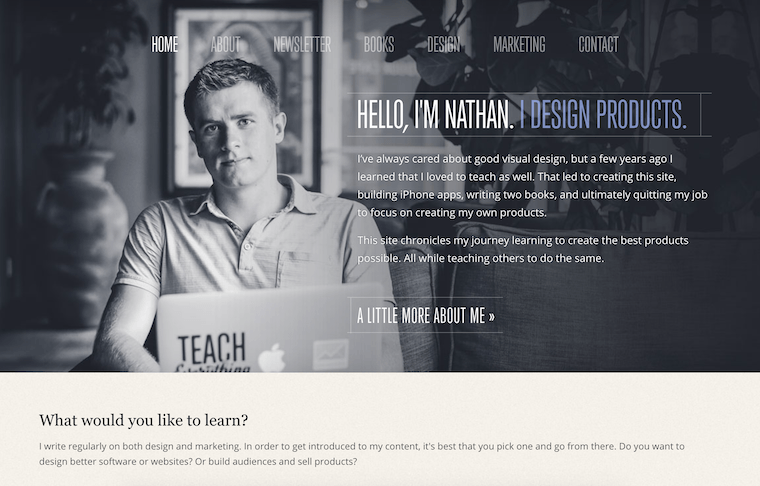 Wouldn’t a budding app developer love to get inside Nathan’s head and learn from him? $249: Handbook + 18 video tutorials + 5 additional resources. You can see from this product shot that it’s not general talk about Design… it’s highly specific. It’s about one concrete, tangible outcome: Designing an App for iOS. If someone wants to design an application, then this is the complete package on how to do it. Exactly as the tagline says, it is “everything you need to design beautiful iOS apps”. Nathan’s experience designing ConvertKit proves that he knows his stuff, but this product was available before all of that. So the more relevant question has always been: is he capable of teaching? A common mistake is assuming that a professional with vast knowledge has the ability to teach and help someone who is starting out. So in order to prove that he can teach his expertise, he offers visitors some free content. Nathan writes short, snappy blog articles about app design theory and marketing. None of these blog articles are a complete step-by-step process. They don’t help the visitor get all the way to their desired goal, but instead give them a short and helpful piece of the puzzle. Take this article for example, where he recounts a story about building ConvertKit and deciding what the experience should be for the user. This content isn’t hidden behind an opt-in gate and goes a long way to show that he has a great mind for design. 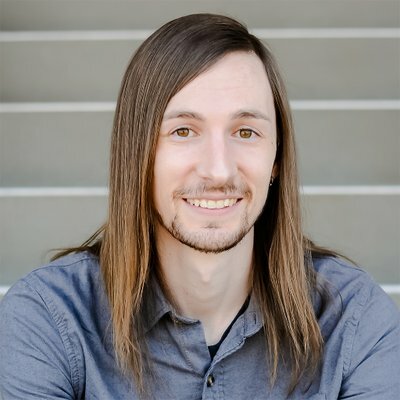 To help ease users into believing that his paid product is right for them, Nathan also offers a free sample of his App Design Handbook that visitors can get by entering their email address… and no doubt signing up on his ConvertKit account. But to make this even more appealing, the email sample also includes a 'free 30 day course on designing better iOS apps'. This is a great combination. Someone gets to see if his content is valuable by downloading a sample first. But at the same time they get a free online course that teaches them more of the content. The free course is there to build trust and encourage the visitors to purchase his book. KEY TAKEAWAY: Offer a Free Sample of your premium content to show your products are worth paying for. Paid products are complete. And that’s the big secret. Nathan Berry’s blog, free handbook sample and short course all prove that he knows the directions around how to arrive at a desired destination, but it’s the paid program that actually gets you there. Consider if it’s possible to fashion a portion of your paid content into a quick-win sample piece for those potential customers that are on the fence when it comes to buying. Recently we wrote about The Mimic Method, a website that was built with Thrive Themes products to create a mid-six-figure business. 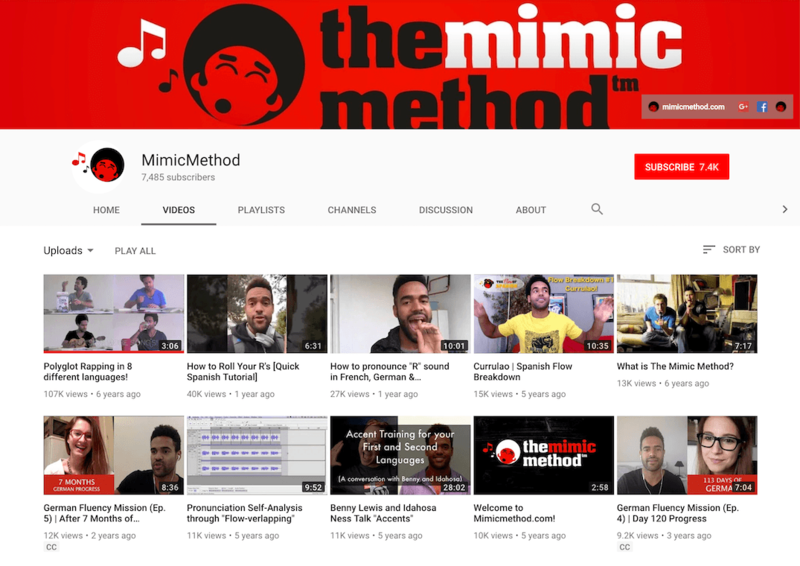 Behind Mimic Method is an online solopreneur named Idahosa, who teaches a unique music-based method for learning different languages. Idahosa’s premium products are a set of online courses that teach the elemental sounds of each language to help students fast-track their learning. Courses sell for $197 each, and students can select from a variety of languages. So if the paid program teaches how to learn a language, then what information can he give away for free? There are millions of people worldwide that can speak multiple languages. 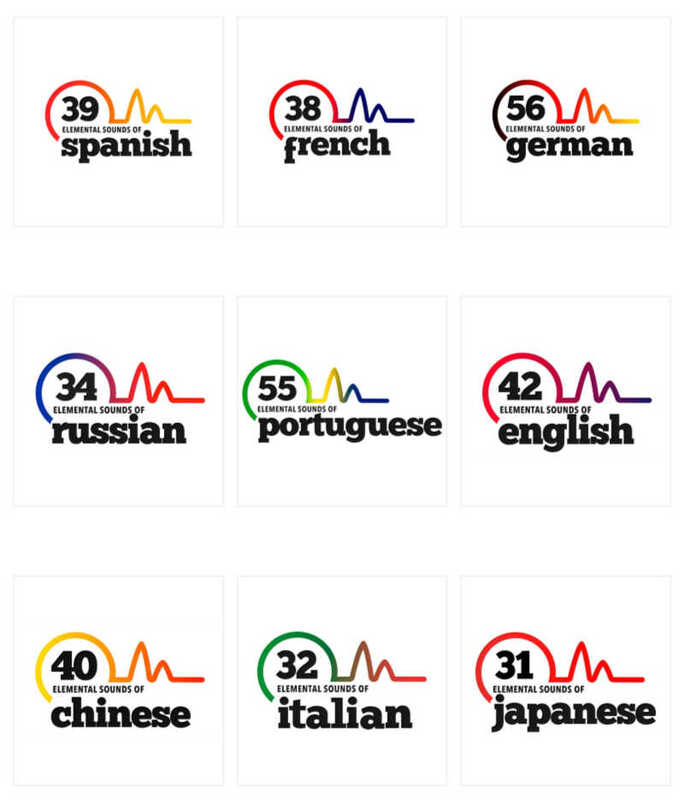 But the question remains: can they help you speak a new language? This is what Idahosa has to prove before potential customers believe his products are worth the $197 price tag he charges for them. To do this, Idahosa has grown a YouTube channel all about language. One video shows him rapping in multiple languages and has over 100,000 views. Other videos include quick language tutorials on how to roll your R’s for Spanish, how to nail the German ‘ch’ sound, and an explanation video on what the Mimic Method even is. KEY TAKEAWAY: Use Social Media to make Quick-Win Content that establishes yourself as an authority. Rather than relying on Social Media for sponsorships or affiliate marketing, use it as a marketing tool to establish authority, show your brand's personality and drive visitors to your website. People like to buy from people, not faceless corporations, and this is especially true for Info Products. How can you use any of the major Social Media platforms (Facebook, Twitter, YouTube, Instagram) to establish authority for your brand and give insight into your teaching style and knowledge? “I guide women (just like you) to attune to & align with their deepest desires, so they can manifest & create anything they want”. None of Shelly’s premium products are visible to new visitors at her website. At a first glance, all you will find is free content. It’s only after opting in with your email address that you’ll find her premium courses. Perhaps this is because she knows that new website visitors aren’t ready to get out their credit cards, or perhaps it’s to create opportunities for scarcity marketing funnels. 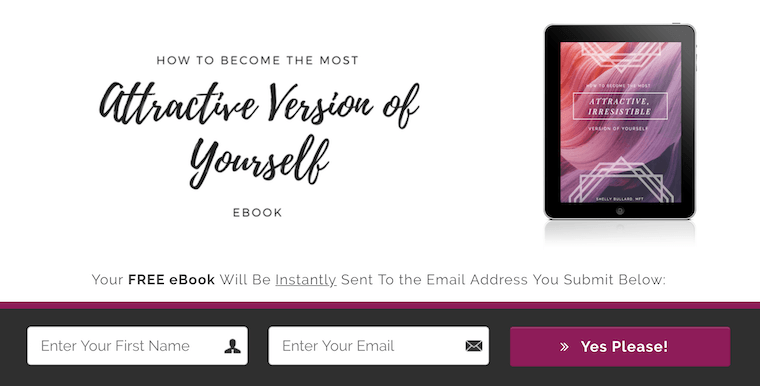 After entering my email address into a form to get a free eBook, I was redirected to a sales page for her first paid product, ‘Ignite Your Feminine Magnetic Power’. There’s a 20 minute timer on this paid One-Time-Offer and you can only get to it after signing up for her free content. This is a clever marketing funnel secret: once you have an email address to identify a website visitor with, there are more options available to you for using automated scarcity marketing. After further investigation, I found 4 different online courses that Shelly offers, each of them using the same type of funnel that requires a form to be submitted before the visitor is redirected to the landing page. Since Shelly’s premium products are only available after opting in to her email list, it’s important that her free-content game is sharp. And it is. Her website is beautifully designed with a range of free content that awaits any visitor. First, Shelly has a blog with very clear and understandable categories. 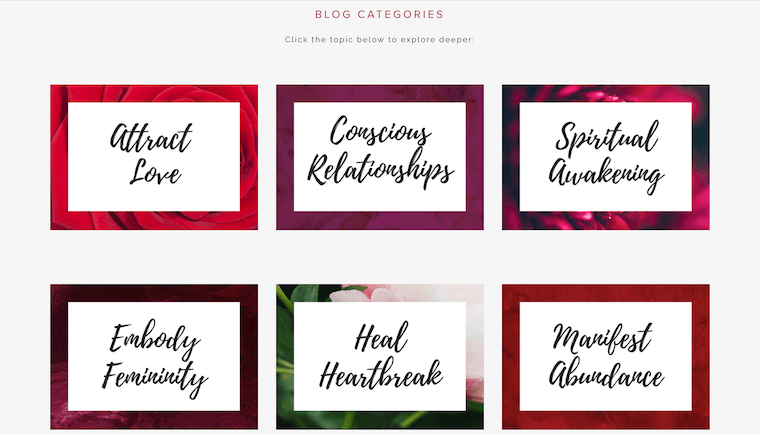 Each category's name is enticing, and her blog articles show you that she is passionate, empowering and ready to help you improve your life. Each opt-in form lives on it’s own landing page on her website. By having 4 strong lead magnets on different topics, Shelly can place links to those opt-in landing pages regularly amongst her ungated blog content. If she has an article about amassing wealth, then her eBook called ‘8 Easy & Unexpected Ways to Manifest Abundance’ would be the appropriate link she’ll include in the content. This is a conversion-boosting trick we call ‘relevancy’, and it’s at the core of our lead generation plugin, Thrive Leads. Website visitors tend to get irritated by opt-in forms that distract from the content they are viewing. But if the opt-in form offers something that is highly relevant to the content the visitor is there for, then there will be a huge boost in conversions. When the only way to find her paid products is through opting in, then Shelly’s free content has to be desirable, and that means keeping it relevant to her other content. KEY TAKEAWAY: Use Free Content as Part of a Funnel to Sell your Paid Content. Funnels are one of the best ways to move visitors to take action and purchase a paid product. But they rely on strong interest from a visitor in the first place. Can you create high-value content that draws people to your site and begins their journey into a sales funnel that moves them towards purchasing your premium product? To learn how, take our free online course on how to create a high-converting sales funnel. Online courses, instructional books, audio lectures, guided programs. Be generous with bonus content, workbooks, checklists, and support material. Blogs, free eBooks, YouTube videos, podcasts, ultimate guides. Give your visitor what they need to be able to benefit from your paid content. Offer free samples of your premium content to show your products are worth paying for. Create free lead magnets that brings customers into a funnel for your paid content. Almost every piece of information you consider valuable can be found somewhere online for free. YouTube is filled with valuable videos and How To tutorials… but the quality varies enormously. Have you ever searched and sludged through video after video, only to be disappointed by dreadful quality and failure to deliver? Yeah. We have too. But then again, haven’t you eventually found a single video that solved your problem perfectly? A video where the creator understood your issue and clearly communicated the exact solution? That single video is so much more valuable than the rest of the garbage out there. And the next time you have a similar problem, rather than wasting hours trying to find an answer, aren’t you hoping that the same amazing teacher has a solution for your new problem too? That’s exactly how info product marketing works. People will pay to have someone walk them through their problems step-by-step all the way to the outcome, but only once you’ve proven your value. You need to create free content, but it must rise above the online garbage out there. It is absolutely essential that an info product creator learns how to do this, and we have a free resource right here to show you how. ​Free Thrive University Course: From Internet Rubbish to Content Gold. Click the link above to sign up for the course and work towards starting, improving or scaling your online info-product business with excellent content marketing. Thanks Bradley, Very informative and inspiring. Much appreciated. Not sure that Thrive Themes (TT) understands what business they are in. Are they a service company that us focused on providing tools for creating sales funnels — or are they an education company focused on teaching content creation and strategy? Seems like TT lacks focus. I expect articles on how to use your tools better – not this stuff. We’ve been getting a lot of articles on this sort if stuff lately and little related to the core of your business. If your not going to show me how to use TT better, who is? I’ve been a loyal customer for three years. Help me out creating sales funnels so I don’t have to switch to ClickFunnels. Anyone and everyone is teaching content strategy. Thank you for your comment, Jason, and for being honest about your perspective on our content. Knowing what you are struggling with helps us know what kind of content to make. These are already some good suggestions, but feel free to share even more of your struggles or questions. Regarding our focus: Our goal is to help people build better, marketing-focussed websites so this includes topics like funnels, content marketing, online course creation and more. Focussing on our tools is only one part of that journey and would be like giving someone the keys to a car with no idea how to drive it. We want our blog to grow into a resource library that helps businesses develop their strategies. This particular article answers a question we’ve seen lots of small businesses struggling with and it was my best effort to help provide some theory for overcoming that obstacle. Again, thank you for your comment and suggestions. Thanks for showing such varied real-life examples of how others are crushing the ‘dilemma’ of what to offer for free versus what to package and sell. Great article! And it is such a dilemma! It’s a common question we see in the info product space. Glad you got something out of it! none of the images in your post are showing up. Ah, thanks for bringing this to our attention. We had a small server error, but have fixed it now. Should be working again! Your article is spot on, thank you so much! Question: there are a bunch of captions that refer to screenshots or images, but I don’t see any images on the page. Am I misinterpreting this, or are there missing graphics? This article has so much gold. Just want to chime in to say that I’m currently learning Japanese and found out through YouTube this website called JapanesePod101 that seems to offer a system that allows me to learn pretty quick. And now, 15 hours in, I’m inclined to believe that they probably have the strongest marketing I’ve ever seen over the years. Essentially, they offer monthly membership programs with different tier levels for people who wants to learn Japanese at an affordable price, and every time they publish some new lessons, they would put some of them out into the Web (e.g., YouTube, podcast, eBooks). Basically, everything they produce has some call-to-action which redirects people to their website to sign up a free trial account, and then they would continue pitching you with relevant offers non-stop even after you’re in. So the formula in this case would be incredible amounts of free offers, plus a marketing effort akin to a giant squid. There’s no doubt in my mind why they were able to deliver millions of lessons over all their channels. This is really interesting, Thomas. It sounds like this business has a great marketing funnel, and is another example of why publishing free content works. I also agree that virtually everything you publish should have a Call to Action, even if it’s just for something small. Thanks for sharing. Thanks, I need this. 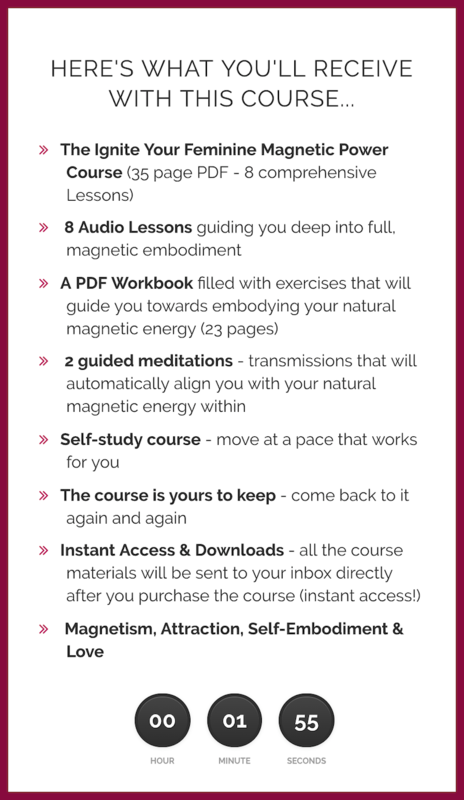 So out of curiosity: have you ignited your magnetic feminine power? Someone call the fire brigade, my magnetic feminine power is on fire! Brilliant tips and takeaways, thank you so much, Bradley. Downloadable digital products have been overlooked in recent years, nice to see great success stories from using this business model. Yes, there is still so much room for Downloadable Digital Products to grow into new markets. Thanks for your comment, Ramesh. Thank you for the article, Brad. Would it be possible for you to complement it with an ultimate guide on “how to market your course” using all of the Thrive tools available? – How to build a course. – How to promote your course. – Building a sales funnel for your course. Basically, developing the action plan you provided above. Hey Luis, oh that would be an epic piece of content, no doubt. There’s a lot of moving parts to marketing an online course, so it would really have to be a thorough and super-ultimate guide. But we are planning to publish more content that explores different pieces of the puzzle, so stay tuned, and perhaps once we’ve covered enough of it we can put together a mini-directory to all the best blog posts/ videos we’ve made on this topic. But thank you for telling us that this is an area you’d like guidance in. We’ll see what we can do! Great article Brad. Especially love the quick navigation clickable menu and the real examples. This is why I’m a Thrive Themes yearly member. No problem, Martin. I’m just glad people enjoy reading it as much as I enjoy writing about it! Ya! I’m impressed, but is there any way to offer different eBooks in different, category? That would be more helpful. Can you tell me more about what you imagine, Martin? Do you mean video tutorials of how to set up the technology to achieve funnels like these? Or a break down of how to figure out what free content would work for your market? Really, the break down of how to figure out what free contant would work based on your offer. You give four really good examples! It would be awesome to leverage them in a course about setting up basic funnels. You could even go into a video analysis of each of these. I agree about keeping stuff in Thrive University, since it’s such a great platform. But it’s our blog that gives us a chance to reach people who otherwise would be reluctant to sign up for yet another free thing. I agree with you about the blog. My suggestion isn’t to not put these on the blog or to remove them from the blog. It’s simply that sometimes you create an educational post that’s so good that it’s worth copying or integrating it into the University where it will fit into a well-organized structure.